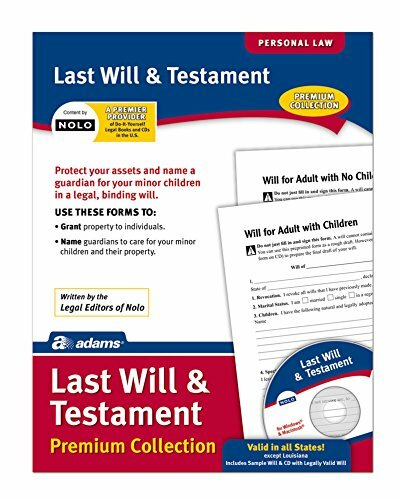 The Adams Last Will and Testament details your assets and the beneficiaries who will receive them. It is available with or without a children's trust. Includes all necessary forms, instructions, and information. Adams business forms provide the tools to help keep track of messages, finances, transactions, employees, taxes, and customers to businesses throughout the world. Whether it's a multi-part form, notebooks, writing pads, record books, or any of the hundreds of items we offer, you can count on Adams products to help! Easy to understand - no "legalese"